I began Bible College in the fall of 2001 and even though I had read the student handbook I was pretty green in Bible College modesty. I did get written up a few times and even stored my jeans up in a large plastic tub at the top of my closet hiding them above my rod of dresses and skirts. God has since worked in my heart about Biblical modesty and I do wear skirts and dresses on a daily basis now. My reason for not going back to my pants may or may not be discussed in a future post…but not now, not today. I know this can be a hot topic and some people will bash and hate but in all honesty, this topic has weighed on my mind and I would like to disclose some of my meditations. I am not condescending or condemning of people who wear pants, and do not wish for any comments or condemnation because of my choice to wear skirts and dresses. I have family and friends that wear pants and it does not bother me in the least, just like any other life decisions, that is between them and God and I love them so that is where it lies in my heart. I am however concerned when women, whether wearing pants, dresses, or skirts, are not aware of their modesty. Even more so I am concerned when women in the ministry do not maintain modesty, that is why I watch this very closely for myself. God is still working on my heart about modesty, like He did many years ago. Although I still have a small frame I have changed since having 4 children and I have had to continually adjust my wardrobe to be appropriate. I have been pregnant and gained 50-80 pounds in pregnancies and I have nursed a baby and fallen to 98 pounds and had to stop nursing. These fluctuations have helped me learn how to adjust my modesty. I have taken my concerns and made practical application for myself. Every type of woman has their own obstacles to maintain modesty, so my applications may not do you any good. I am not bull-nosing others into doing the same things I do, or expecting others to live up to my standard. Cover the cracks. I watch for cracks of cleavage, the crack of my backside, and the “crack” between my legs above my knees. These are areas I do not want to flash or show. Longer skirts are sometimes best. When I walk from our van to the church building holding the baby and the hand of our 3-year-old, there is no extra hand to push my skirt down if the wind decides to blow it up. I may have to choose not to wear shorter skirts temporarily until the girls are older and I have both hands available for the skirt alert. Also, considering the times I need to work at the church climbing on ladders and bringing things down from our storage area or hanging things on walls, I like to wear longer skirts so that I do not embarrass any men that may help me. Squatting at the knees instead of bending in half to pick things up off of the floor, tie my son’s shoe, or put a baby in a car seat. I use this technique so that my backside is not the main attraction when I bend over. I’m taking notes. If my husband is continually frustrated about how other women at church dress immodestly, then I just dress the opposite! If he complains about not being able to speak to someone without feeling uncomfortable, then I purpose in my heart not to let another man feel uncomfortable around me by the way I dress. I create a safety zone to communicate with brothers and sisters in Christ by dressing appropriately at all times. Not allowing myself to be a hypocrite. When I have the opportunity to speak to young ladies and women about modesty, I want them to be able to learn and then see it displayed. I never want a young lady to say, “she taught me to dress like this, but she dresses way different,” or think “the standard is ______, but the clothes she gave me were lower than the standard.” Sometimes when I give things away to other ladies, I need to clarify that some of the outfits need an under shirt underneath them or a slip because they are a little see through. This helps me be genuine about modesty. Avoid lace and see-through clothing. What women wear on lingerie is usually for a reason… those attributes of every day clothing tend to attract eyes where they should not go, so I try to layer an extra slip or two under see-through skirts and dresses and steer away from some types of sheer tops and lace under shirts. What may not matter to some, may give someone else difficulty. I do the “bend over” check. If I bend over while looking in the mirror and see my cracks then I make adjustments to my outfit. Safety pins can work wonders! The attitude check. The right clothes are one thing but how I act is another. Acting sensual or bending over on purpose to encourage guys to look is also a matter of modesty that involves the heart. The words I say and the way I conduct myself can make even the most modest outfit immodest. I watch my words and my actions as well as my outfit. I always want to do my husband good, and not evil. This is something that is continually being worked on in my life. As I receive new outfits then the adjustments have to be made all over again. It is never something we come to the place where we arrive… unless you’re wearing turtle necks and floor length dresses all the time. Yikes! I am not always perfect and sometimes me and my attire go ’round and ’round. But truly down in my heart I hope to never be a stumbling block to those around me by my dress. Modesty maintenance is always a must! 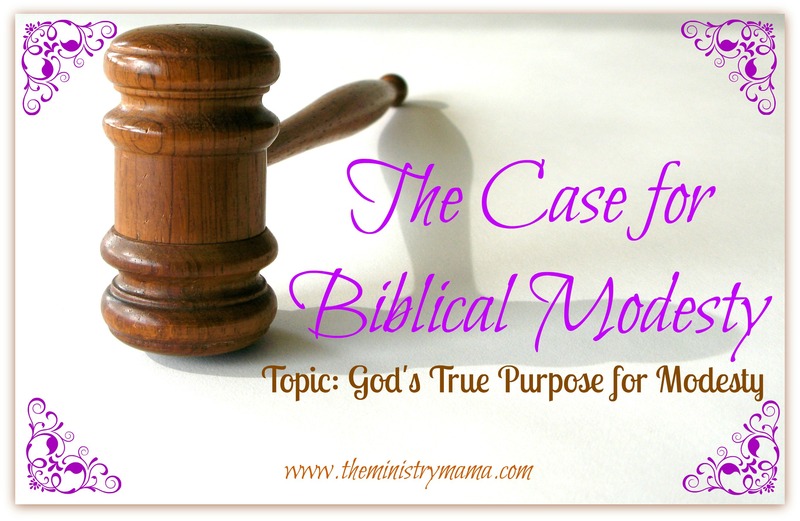 I have written 3 other articles on the topic of Biblical modesty. I invite you to read them and learn from Titus chapter 2 about the topic of modesty. In doing this study, it has helped me learn so much of why I want to maintain my modesty. I hope you have read this with an understanding heart of who I am, not forcing any type of standards on others. I believe that most women who have a heart for understanding modesty will understand my point of view and applications. May we all dress to please the King and help others learn the Bible principles of modesty!